LSTC joyfully offers an abundance of scholarships. 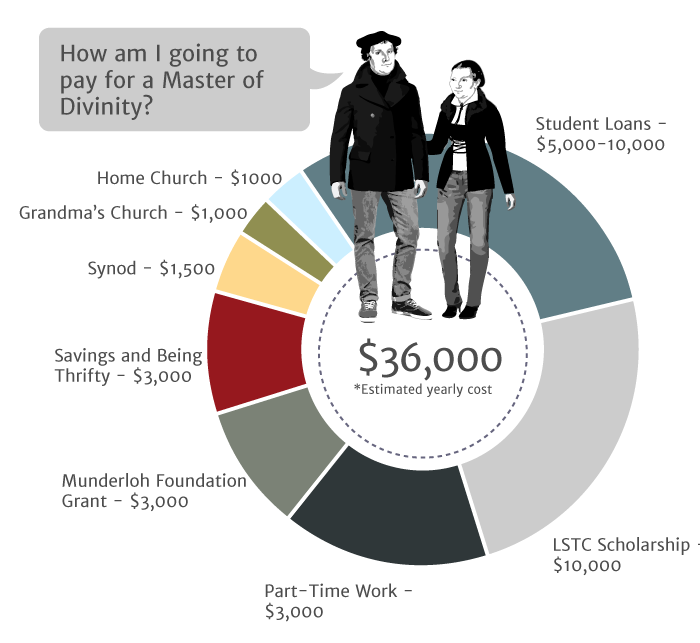 We know that money can be stressful and make following your call to seminary a challenge, but because of donations from individuals, churches, synods, and multiple foundations, LSTC is able to provide scholarships at a higher level than ever before so that most students receive generous financial aid offers. LSTC’s innovative Public Church Fellows program combines service at a community non-profit or social service agency with intentional small group reflection and faith formation. Public Church Fellows receive a $500 monthly stipend during the academic year. A key component of LSTC’s claim as a “community to form leaders to form community” is our affordable and classic Chicago apartments right down the street from our main building. These apartments are already heavily subsidized, but we are NOW able to provide housing stipends for some students every year, which can cover your rent for the year. ELCA students in candidacy toward Word and Sacrament or Word and Service are encouraged to apply for the ELCA’s full-tuition Fund for Leaders scholarship. LSTC also participates in several outside scholarships such as the Munderloh Foundation scholarship and the Siebert Foundation scholarship. There is no separate scholarship application required for LSTC scholarships; scholarships are awarded at the time of admission based upon merit. For more information about financial aid at LSTC, contact Nate Ramsey, Director of Financial Aid, nramsey@lstc.edu (773.256.0709), or Matt James, Director of Admissions, at matthew.james@lstc.edu (773.256.0727).